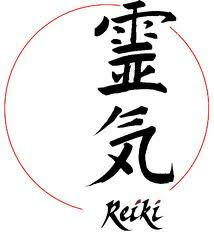 Reiki (pronounced Ray-Key) is a powerful, relaxing, healing touch modality that originated in Japan over 100 years ago. A Reiki practitioner channels healing energy to her clients, who receive Reiki while relaxing on a comfortable massage table, fully clothed. You receive a Reiki energy bath that relaxes and cleanses the physical body as well as the emotional, mental, and spiritual aspects of your energy body. The result is a sense of deep relaxation, release, and peace. Reiki promotes healing by relieving stress. When stress is relieved, the immune system can shift from handling stress-induced processes to engaging in healing. What will you experience when you receive Reiki? Most people feel themselves fall into a very deep relaxation. Many experience relief from physical symptoms, such as sinus congestion, headache, or muscle tightness or pain. Some feel as though a weight has been lifted from their shoulders or their backs. Others have visual experiences, such as seeing colors, or experiencing a dream-like journey to another place and time. You may feel heat, tingling, intestinal gurgling, or even a natural spinal adjustment, as Reiki relaxes you and muscles that hold tension release. You do not have to be ill to benefit from Reiki. In fact, regular treatments promote health by relieving stress and eliminating toxins. Distance Reiki - First Session is Half Off! Did you know that Reiki can be can be given as distance healing? It's true! Reiki is intelligent energy, and can be directed anywhere with intention. My clients report profoundly relaxing and healing with receiving distance Reiki sessions. You have to try it to believe it! One advantage of distance Reiki is that you receive it in the comfort of your own home. If your schedule is really tight, or if you are not well, distance Reiki allows you to receive the healing, stress relieving treatment more conveniently. I also offer the option for a 15 minute phone conversation after the session, at no extra cost. When you schedule a distance Reiki session on the Schedule Now page, you are prompted to fill out a form describing any specific issues that concern you, and to optionally upload a recent full-body photo of yourself. The photo helps me connect with you during the session. Try Distance Reiki! Your first session is half off. Use the coupon code FIRST. Contact Barbara for information on upcoming Reiki Classes and Circles.